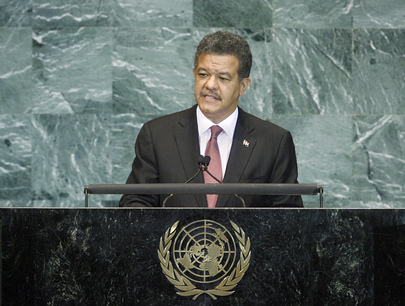 LEONEL FERNÁNDEZ, President of the Dominican Republic, said in 1998 a General Assembly special session was held to eliminate or substantially reduce illegal production of drugs. Ten years later, another meeting concluded that little progress had been made, and the international community should be concerned about the growing threat posed by the global drug problem. At the end of that session, it was determined that a new 10-year plan was needed, covering the period until 2019, for the General Assembly to evaluate the outcomes of policies applied to the most serious threat to citizen safety: organized crime and illegal drug trafficking. While drug usage was dispersed across the world, consumption was highest in areas with the highest levels of economic and social development, “such as the United States, Eastern Europe, and Central Asia”. Harmful effects of drug consumption included loss of will, apathy, bulimia and the development of pathological behaviours and could expose users to HIV/AIDS or Hepatitis C.
This “global black market” reached the astronomical amount of $400 billion each year, making it larger than the GDP of 122 out of the 184 countries registered on the World Bank’s Economic Index – more wealth than countries like Chile, Denmark, Finland and Portugal. Drug trafficking utilized kidnappings, contract killings, torture and decapitations, and murdered journalists, teachers, doctors, students and housewives. Its power was so great that it interfered in vital government areas such as the armed forces, police, intelligence services and the justice system. Yet, “it is possible to confront and defeat it”, he said. To do so, the international community must change paradigms and strategic visions to focus not just on the supply side, but on demand and consumption as well. Indiscriminate gun sales and human trafficking must be curtailed, and cooperation policies must be developed among the countries that produce, serve as transit points for, and consume narcotics. It was necessary to introduce new technologies, strengthen intelligence systems, increase personnel professionalism and strengthen development to protect against crime. In 2019, when the General Assembly again convened to evaluate its plan against drug trafficking, he hoped that the Assembly would be able to say it had prevailed. Turning to the costs of recent natural disasters, the losses experienced in 2010 were a great cause for concern, he said. To date, there had been 47 floods and landslides affecting countries from Brazil to Sudan; 12 hurricanes, cyclones and typhoons, from Mexico to Madagascar; eight serious droughts from California to the Russian Federation; seven earthquakes from China to Haiti; and Iceland’s volcanic eruption, which constituted the most serious interruption in air traffic since the Second World War. Vulnerability to natural disasters was increasing, and development levels were starkly declining as a result. As most of those disasters were caused by climate change, it was imperative that the General Assembly approved possible guidelines as soon as possible to regulate the emissions of carbon dioxide and to protect the planet’s biodiversity. He stressed the necessity for early warning systems in coastal areas, as well as at-risk cities, schools and hospitals. In this regard, the Dominican Republic planned to take an active part in the work towards the Global Platform for Disaster Risk Reduction, including its next meeting in Geneva in May 2011. The United Nations system should create a world alliance of countries at risk, in order to exchange experiences, knowledge and ideas, as well as transfer the best practices learned in catastrophic circumstances. This would help to save lives and minimize material damages.